Affordable Accoutrements: Silver in the Sunroom! 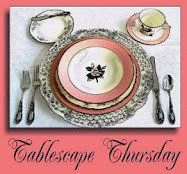 It's almost time for another Tablescape Thursday with Susan of Between Naps on the Porch! We're back in the sunroom this week, but the table's rather more formal than last time -- no pink flamingos today, no Tropicana canna leaves, no thrifted milk glass bud vases, no bright blue salad plates. If you missed that colorful table, it's HERE. Even though I'm using vintage Limoges china, I've kept it relatively relaxed overall (taking into consideration that it's an informal room). There's no tablecloth, and the centerpiece is casually arranged. Once again, I had to set the table quickly. It was 4 o'clock, and I knew the afternoon light wouldn't last much longer. I could have had all afternoon to work on it, if not for the fact that a local estate sale was calling to me (naturally I responded to the call!). The only decisions I'd made in advance were that I wanted to use the pretty Limoges bread plates I'd received as a gift from Valorie, the Visual Vamp, and I'd planned to do a tiered centerpiece with garden flowers arranged on silver serving pieces. Here's the centerpiece: crepe myrtle, knockout roses, garden greenery, butterfly bush blooms, and zebra grass plumes. To add softness, I used fabric under the arrangement. It's actually a cover for a folding chair (you can see the bow in a couple of the photographs). The hemstitched linen napkins are from an estate sale. The Haviland Limoges dinner, salad, and bread plates were an antiques mall find last year. They were on sale for a great price, probably because they were sans cups & saucers -- not a problem for me, since I like serving dessert and after-dinner coffee in a different room (perfect time to change to a different china pattern). I placed Valorie's pretty plates on top of the stack. I'll be adding something else -- stay tuned! If you're interested in learning more about Limoges porcelain, click HERE for a link to a brief article on Wikipedia and HERE and HERE to read more about Haviland. The wine glasses are Marquis by Towle (circa 1982). 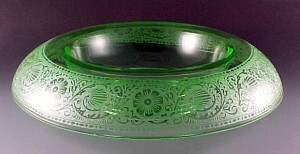 They're lead crystal glasses with a dot and fan cutting on the bowl. These were actually intended to be water glasses, but they also work well for wine. The silverplated goblets were estate sale finds. The flatware is Gorham La Scala. Small arrangements flank the larger one. I've shared this disclaimer before, but ... this is fantasy -- if it were an actual dinner party, I'd have made the centerpiece lower and much smaller to facilitate conversation. Tarnished candleholders (I was in a hurry! ), but I did manage to polish the items I used in the centerpiece. I started with an aspic tray (large and saucer-shaped), added a footed vegetable bowl, then a smaller round tray, a dessert pedestal, and a simple vase on top. I sliced a block of floral foam and, while I was out cutting flowers, soaked the pieces in a pan filled with water. I placed the pieces of oasis on the trays and in the vase, and quickly inserted flowers, greenery, and plumes. It won't be a long-lasting arrangement, but it should be fine for a day or two. Recipe for Tablescape Thursday wine: Pitcher of water, two drops of red food coloring, one drop of blue. Voila! Time to light the candles. I've added crystal tealight holders. It's still light outside, but I was anxious to see the candles work their magic! I also added vintage Libbey/Rock Sharpe champagne/tall sherbet glasses -- perfect for serving an appetizer (hence the cocktail forks at each place setting). I hope you enjoyed your visit. Please stop by and see Susan of Between Naps on the Porch for Tablescape Thursday and check out as many of her talented participants as you can. Oh, and if you missed my video collaboration with the talented Julio of Beaux Mondes Designs, here's your chance to see it now! Gorgeous, as always!! Thanks for sharing. Bill, no need to serve dinner this table is delicious enough. Haviland, Limoges, crystal, silver, fine linens, candles, fresh flowers ~ all the elements for a magical table. You definitely know how to provide the magic, Bill. Love the video! I love EVERYTHING about this tablescape, especially the repurposing of the chair cover! You are speaking my language! Simply beautiful and I have admired that dining table and chairs for some time. Tarnished silver just adds character, I'm a bit "tarnished" myself and all the better for it! Thanks for all your beautiful posts. Bill this table is beautiful. I was thinking as I was looking at the photos that the grasses reminded me of fireworks and that is what you saw also. Love the desert plates. That touch of green is so pretty. You always set the best tables. Another stunner Bill! I love it all, so classy - guests would feel so special to sit and eat at your table. So beautiful -- your centerpiece did make me think of fireworks. This is gorgeous. I always love your tables and this one is no exception. So elegant and so pretty. Jim and I always sit down opposite each other whenever we have a dinner party to make sure the centerpiece is not too high! Nothing like peeking around a centerpiece while trying to carry on dinner conversation! But for fantasy tables (or tables set up for a House Tour) you need tall ones -- the tables really call for it I think! What splendor! Silver is so perfect with anything! What a great idea layering the silver pieces to create an amazing center piece! I love the Limoges, it's truly very delicate and lovely. Your crystal and silver certainly add to the setting. Your scrunched fabric always looks amazing, mine just looks like a blob! Beautiful! I always love your centerpieces - so pretty and crative! I love silver and the goblets, salt & pepper shakers and candlebra are so pretty. Thank you for sharing these beautiful tablescapes with us! When I first started viewing,I thought the zebra grass was green pine,and I thought what a great idea,I have plenty of that!Love the centerpeice! As always your TT blows me away!...AND, your great photo's.So bright and cheery.Thanks for sharing! So lovely -- especially photographed in the candlelight. And I love that flatware set, so elegant and beautiful. what a beautiful table. I loved the tiered center piece and the candle holders. The silver and the dishes looked so pretty on the table. I like your wine "recipe", very funny. I was wondering what kind of wine had that pretty color. Bill, Thanks for the Tablescape wine recipe! How does it taste? lol I love the etched glass sherbet/dessert piece and your silver! Your centerpiece is really eye-catching and so original. Great job! Thanks for the link to Limoges and Haviland - I'm heading there right now. Have a great week, Bill. PS what camera do you use? What a beautiful table, I love those etched glasses, they couldn't be Libbey? And now what did you get at the estate sale? My nephew lives in TN and when I come to see him I am following you to a sale! What a lovely video! And you KNOW I love your table, but those goblets always are what catches my eye! Have a wonderful week!! Outstandingly beautiful! I, too, instantly thought of fireworks when I saw the centerpiece. I have some of that zebra grass plumes growing beside the garage...never even though of using it in a floral arrangement. I love how you think outside the box! I am also SERIOUSLY in love with the Gorham La Scala silverware. Oh, be still my ♥!!! I enjoyed seeing the video of all your beautiful tablescapes. You have a wonderful talent for creating a mood & combining unusual pieces to make a wonderfully cohesive scene. BRAVO!! Love the zebra grass, I will have to see if I can grow something similar here in the UK, does it seed itself? Love your table and it looks great without a cloth, lovely napkins, another of your bargains at an Estate sale?? Jackie in Surrey, UK. Oh my goodness! Just simply beautiful. I love your china, silver, crystal... and your unusual centerpiece arrangement. As I said, just beautiful! Sometimes, you just sit and stare kind of dumbly with the mouth hanging open. That would be me with this one. Won't try to guild that lily with my words. I just really, really LOVED this one!! And I agree with others that the centerpiece looks like fireworks. Words escape me. This tablesetting is absolutely gorgeous. I love the simplicity of it. It is truly an elegant table setting. I always enjoy your Tablescape Thursday post. Yep fireworks is the word! Such a fun and creative flower arrangement. As always, you set the prettiest tables. EVERY single thing is gorgeous!!!! That centerpiece is gorgeous...well, truth be known, everything you touch turns out gorgeous...I am amazed that week after week your tables leave me in awe. I love the champagne stems, very pretty. This is beautiful Bill. Your photography just brings me right into the table. Absolutely lovely. So lovely! Your china is elegant and your crystal divine. 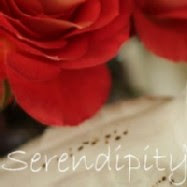 The flower arrangement is a celebration and your candlelight shots are amazing. I love visiting your table every week and you are an artiste! Yes! It does look like fireworks! I've never seen "zebra grass" before, makes a fun centerpiece! Very elegant tablescape, it just sparkles! I've been wondering who was drinking all that wine on your tables! Thanks for revealing the recipe! LOL! P.S. - I forgot to say I love the plates Valorie gave you! They are perfect with your china! Love the new (old) plates from Valorie. Don't worry about a little silver tarnish. I once got points taken off my flower show entry because the silver was too shiny!!! Go figure! Miss Valorie would be a good friend to have. Wow, you created a lovely fireworks fountain centerpiece. It's amazing how you match your artwork on your walls to your beautiful tablescapes. Thanks for the Tablescape Thursday wine recipe. I took out a wine coaster for my tablescape today, but I did not want to place an empty decanter in it since I didn't have any wine. I'll have to try out your recipe soon. Bill, you had my attention as soon as I saw silver and crystal! A beautiful table! I think the centerpeice is fabulous. It reflects your personality. Creative! Thank you for sharing....you are an inspiration! I'm amazed! Who needs to know that isn't a wonderful blush wine in the glasses! I'd love to see a photo shoot of where and how you store all of this! You post from a few weeks ago of the "Estate Sale" song has become my theme song! A stunning table. I LOVE the Libbey champagne/sherbert glasses, that type glass always adds such elegance. Beautiful, as usual. Ohhh my...such elegance! Everything is so perfect, my friend...from the china, crystal, right down to that fabulous silver tiered centerpiece! The florals are simply gorgeous in your centerpiece. I love the wispy zebra grass! Ohhh...and your tall sherbet glasses are divine! This really has been such a treat! Bill, your sunroom is gorgeous! Thank you for sharing your home and this elegant table with us! It's breathtaking!!! I also wanted to thank you for the kind well wishes that you left for me on my second blogaversary! I do apologize at being so late to get by for a visit. Thank you so much for coming by, my friend! Ohhh...and your video is magnificent! I don't think I've ever seen a greater collection of elegance! Lovely!!! I just watched the video...stunning!